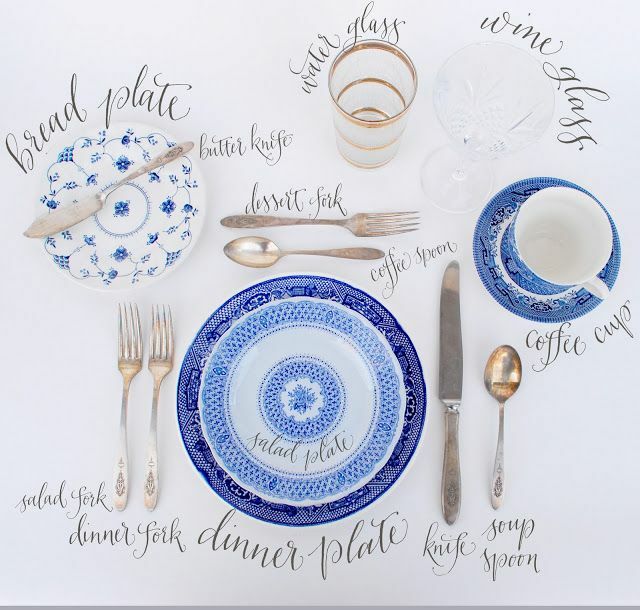 I love this gorgeous reference for setting a formal dinner table. The blue and white china and the antiqued silverware are gorgeous, and I'm particularly obsessed with that water glass. You can find the china here, and get a similar look to that water glass with this stemmed number from Zara Home. Fold a napkin on the salad plate, and you'll have the makings of a great dinner party!